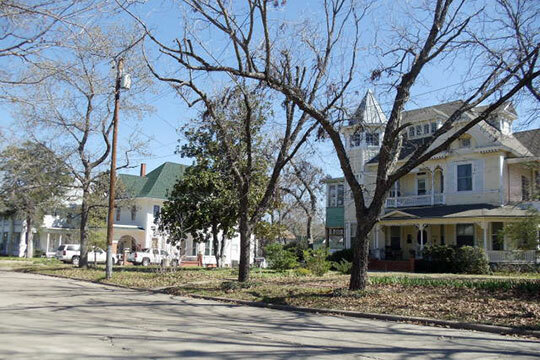 Photo: Homes in the West Side Historic District, Corsicana, TX. The Historic District was listed on the National Register of Historic Places in 1995. Photographed by user:Renelibrary (own work), 2012, [cc-by-3.0 (creativecommons.org/licenses/by/3.0)], via Wikimedia Commons, accessed March, 2015. The Navarro County Courthouse is located at 601 North 13th Street, Corsicana, TX 75110; phone: 903-654-3040. Navarro was created ca. 1848 from part of Robertson County.